Next Sunday February 13 will take place the II Edition of the Solidarity Race of the Faculty of Medicine of UMH through the streets of Sant Joan d’Alacant (Spain). The race will start at 9:00 am. from plaza de l’Ordana and with a length of 3 km.. After that, from 10:00 am. in the morning will start the output of 5-10 km. In addition, a bounded area of adapted and accessible parking will be enabled, in addition to an exhibition of associations and organizations, with the aim of promoting the work of these organizations in the service of disabled people. Who are the organizers of the II Edition of the Solidarity Race of the Faculty of Medicine of the UMH? 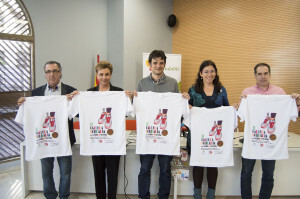 On this occasion, the Solidarity Race will run by the own UMH Faculty of Medicine, as well as with the participation of the Department of Sports of Sant Joan d’Alacant and of the grupo Brotons. The main objective is none other that favor inclusion and normalization of people with some degree of disability in sport. This second edition of the solidarity career of Medicine to people with or without disabilities may register above 6 years of age. What was the presentation of the II Edition of the Solidarity Race of the Faculty of Medicine of the UMH? Mª Teresa Pérez Vázquez, Vice-Rector of Institutional Relations of the University Miguel Hernández (UMH). What are the objectives of the II Edition of the Solidarity Race of Faculty of Medicine of the UMH? Charity goals predominate in this II Edition of the Solidarity Race of the UMH; where the 100% collection will go to efforts of NGOs, foundations and associations for social purposes.